BETHLEHEM (Ma’an) — Human rights organizations have come out in full condemnation of Israel’s violent response to massive unarmed civilian protests in Gaza on Friday, which left 16 Palestinians – one farmer and 15 protesters — dead along the Gaza border. The Israeli army released statements on Twitter describing the protests as “violent riots.”Meanwhile, Israeli human rights organization B’Tselem released a statement on Thursday, condemning the repeated threats of Israeli officials to use lethal force against the civilian protesters. The Syrian Coalition’s Department of Foreign Affairs sent an urgent letter to the Syrian people’s friendly countries urging them to urgently respond to the needs of people being displaced from the Damascus suburb of eastern Ghouta. The letter warned of dangers surrounding the fate of civilians in Douma as the Assad regime and Russia forces threatened to assault the town. The letter, which was sent to 20 States, included a report that was prepared by the Syrian Interim Government and Assistance Coordination Unit detailing the essential needs of the people who are being displaced from eastern Ghouta. The letter called for the provision of urgent relief aid to be distributed by the Syrian Interim Government and Assistance Coordination Unit. The Coalition warned that “the fate of 26,006 Forcibly Displaced Persons (FDPs) and IDPs to Idlib governorate, hangs in the balance with increasing need of humanitarian aid and limited shelter capacity, according to the UN OCHA evacuations tracking report. “The situation in Idlib governorate is of a deep concern, with displaced housed in overcrowded collective shelters, and due to the critical humanitarian needs, particularly in relation to protection, food, health, nutrition, NFIs (non-food items) and WASH (Water And Sanitation for Health). The report also said that the people being displaced from eastern Ghouta were subjected to arrests, kidnappings, and summary executions. It said that videos and photos showed civilians being humiliated during the distribution of some life-saving items as they were forced to chant for Assad in return for drinking water. Leader of the British Labour Party Jeremy Corbyn has denounced Israel’s use of lethal force against Palestinian civilians who rallied last Friday in Gaza border areas to commemorate the Land Day. “The killing and wounding by Israeli forces of civilians demonstrating for Palestinian rights in Gaza is appalling,” Corbyn said on his Twitter page on Saturday. “The UK Government must make its voice heard on the urgency of a genuine settlement for peace and justice,” he added. Thousands of Palestinians had marched to the Gaza border at the start of a six-week protest, dubbed the Great March of Return. The protest comes ahead of the 70th anniversary of the Palestinian “Nakba” (Catastrophe). At least 15 Palestinians were killed and hundreds were wounded when Israeli soldiers cold-bloodedly opened fire at them. The first to die was Omar Samour, a 27-year-old Palestinian farmer who was killed in Israeli shelling as he worked his land near Khan Younis early on Friday before the protests began. Most of the other slain protesters, reported to be mainly men under 40, were shot dead at points along the length of the 65km (40-mile) fenced border, from Jabalia in the north to Rafah in the south. The Palestinian Center for Human Rights (PCHR) said that there was a political decision at the highest political level in Israel to use excessive force to suppress hundreds of thousands of civilians participating in fully peaceful protests, which were held on Friday within hundreds of meters away from the border fence with Israel. In a report released on Saturday, PCHR affirmed that Israeli forces directly targeted protesters with no justification and without the latter posing threat or danger to life of soldiers. 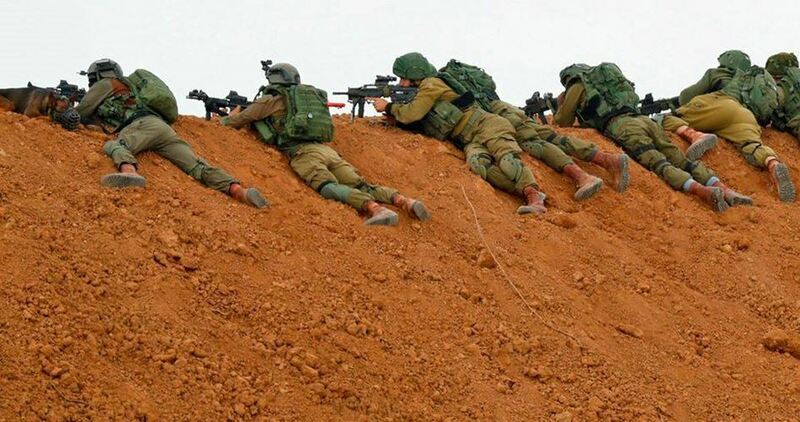 According to observations by PCHR fieldworkers, dozens of Israeli snipers stationed behind mounds of dirt along the border fence, east of the Gaza Strip, sporadically and deliberately opened fire at the participants in the peaceful assemblies that included hundreds of thousands of civilians and concentrated in five areas in eastern Gaza. As a result, civilians were directly killed or wounded. The observations of PCHR fieldworkers revealed that the Israeli forces focused on targeting the participants in the back rows of the demonstration as they were falling one by one around 300 meters away from the border fence in addition to others who attempted in a few numbers to approach the fence. This proves that there is an official decision to kill and cause bodily harm to the demonstrators, in conformity with the policy of intimidation adopted by the Israeli forces, spokespersons, and officials during the past few days to reduce the public participation. According to the center’s investigations, on Friday early morning, 30 March 2018, tens of thousands of civilians, including women and children, within entire families started swarming to five camps established by the higher national authority for organizing the march of return and breaking siege in eastern Rafah City, Khuza’a in Khan Younis, al-Bureij in central Gaza; Shuja’iyya neighborhood in Gaza City; and eastern Jabalia in northern Gaza. Following the Friday prayer, the number of participants in the five assemblies increased, reaching to hundreds of thousands of men, elderlies, women and children. They were standing dozens to hundreds meters away from the border fence and raising the Palestinian flags, while only a few numbers of them attempted to approach the border fence in order to throw stones and raise flags. 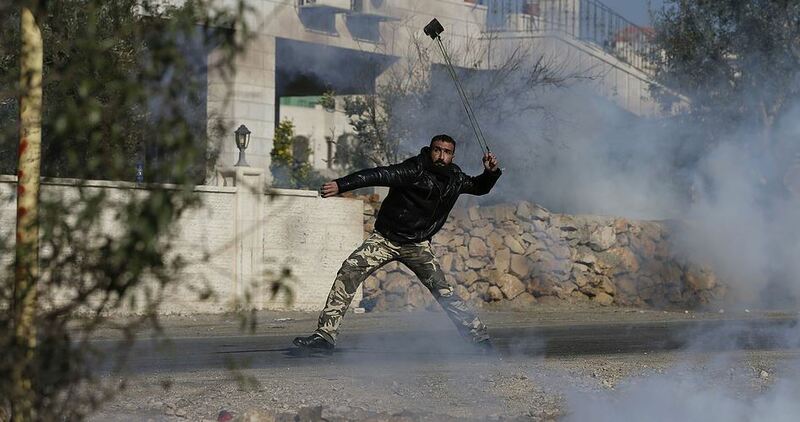 The Israeli forces fired live bullets at the protesters. As a result, until 17:00 pm on Friday, eight protesters were killed, including two in eastern Jabalia, four in eastern Gaza City and two in eastern Rafah. All of them were hit in the upper part of the body, head, chest and abdomen. Moreover, 708 civilians were wounded, including 121 children, 26 women and one journalist, in addition to hundreds who suffered from tear gas inhalation after tear gas canisters were heavily fired by soldiers stationed along the border fence and by drones hovering over the protesters. The report noted that the soldiers kept targeting the protesters after the death of those eight civilians, which led to an increase in victims’ number. 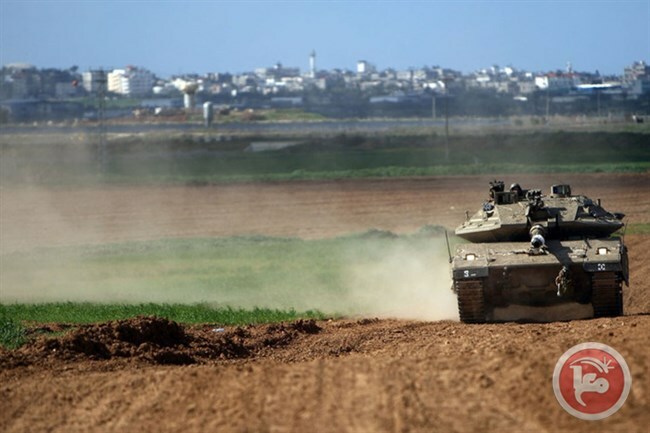 At approximately 04:30 pm, Israeli forces fired two artillery shells at two civilians who were collecting parcel from an agricultural land around 1,000 meters away from the border fence with Israel, east of al-Qararah. As a result, one of them, namely Omer Wahid Abu Sammour, 27, was killed and arrived pieces at the Gaza European Hospital while the other sustained moderate wounds. Both civilians had to wait half an hour in the scene until the medical crews could have access and take them to the hospital. This huge number of victims proves that the Israeli forces, at the behest of their government, continue to commit further crimes and use excessive force against Palestinian civilians in disregard for their lives. PCHR expressed its condemnation of this new massacre committed by the Israeli forces that resulted in this huge number of causalities, stressing it was as a result of the international community’s silence on Israel’s persistent crimes against the Palestinian people. Two Palestinian human rights organizations on Saturday called on the Israeli occupation authorities to allow medical crews to safely evacuate two Palestinians who are still lying injured or dead near Gaza’s eastern border fence. 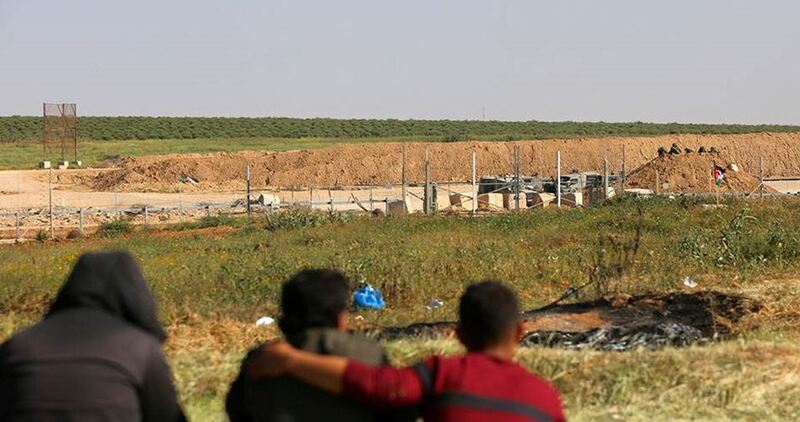 Adalah and al-Mezan Centers for Human Rights in a statement asked senior Israeli officials to immediately allow search and rescue teams to enter the buffer zone in Gaza near the border fence to evacuate wounded or dead Palestinian men whose conditions remained unknown. 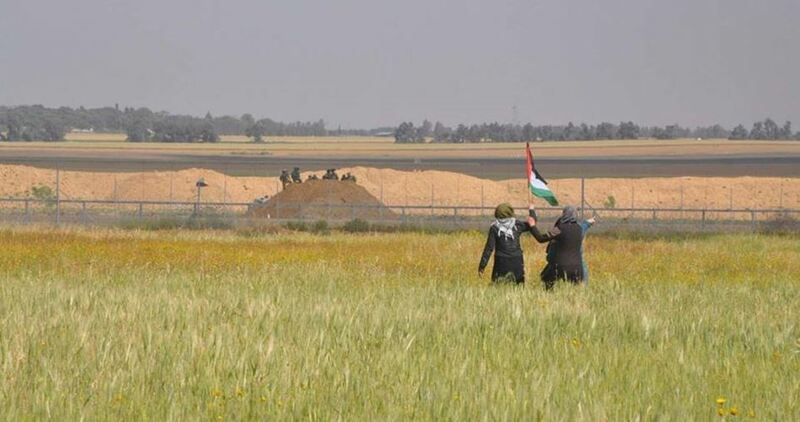 Local sources reported that two Palestinians were shot east of Juhor ad-Dik area in Gaza on Friday and left to bleed to death some 150 meters from the border fence before the Israeli occupation forces detained their bodies. Gaza’s Ministry of Health has not confirmed the news of their death yet. The statement said that the Israeli army uses live fire to prevent Palestinians from entering the “buffer zone” which extends 300 meters into Gaza. The two human rights organizations stressed that the Israeli army, by preventing rescue teams from reaching those injured or dead, is violating both international humanitarian law and Israeli laws governing warfare anchored in the Geneva Conventions. The statement underlined that providing protection to the injured as well as ambulances, hospitals and medical teams, allowing medical treatment and enabling rescue teams to evacuate casualties are among the basic principles of the Geneva Conventions. Likewise, these laws guarantee the free movement of medical search and rescue teams which facilitates their mission to locate missing individuals, thus increasing their chances of survival, it added. 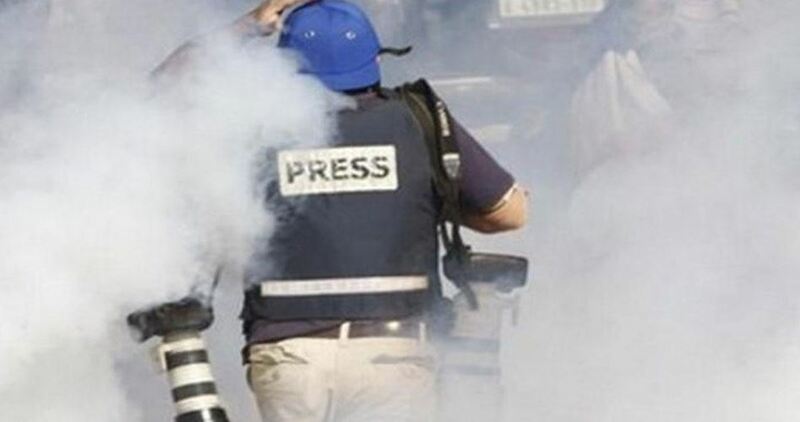 In a statement on Saturday, the media office accused Israeli forces of firing live ammunition and tear gas grenades directly at journalists who were covering the border protests in Gaza on Friday and Saturday despite the clear and special signs referring to their job they were holding and their presence in spots relatively away from the participants in the protests. Scores of Jewish settlers on Sunday afternoon swarmed a Palestinian archeological area in Dura town, south of al-Khalil in the West Bank, at the pretext of performing holiday rituals. 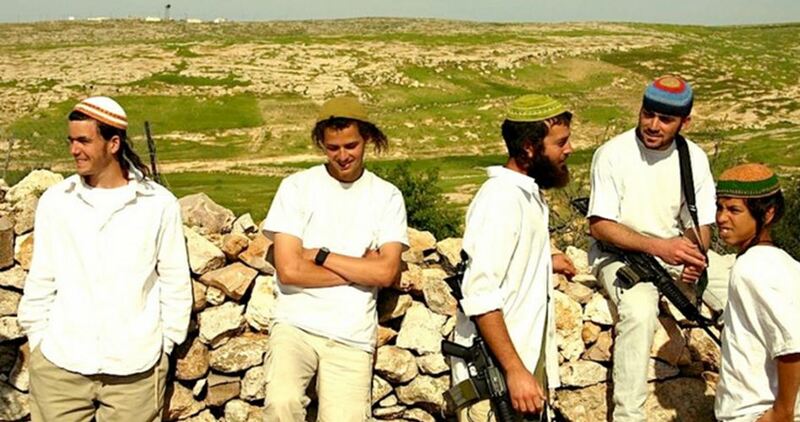 According to local sources, the settlers set up shades in Ein Fara area of the town under military protection to celebrate their Passover holiday. Every once in a while, settlers living in illegal settlements in the West Bank storm this historical area, where they perform rituals and swim in its spring pool. 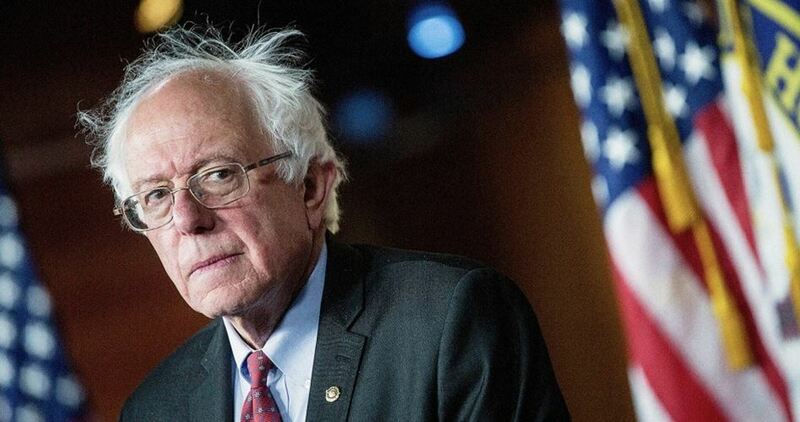 US senator Bernie Sanders on Sunday denounced the Israeli army’s killing of Palestinian demonstrators during Gaza’s Great March of Return on Friday. “Meanwhile, the situation in Gaza remains a humanitarian disaster. The US must play a more positive role in ending the Gaza blockade and helping Palestinians and Israelis build a future that works for all,” he added. Sanders was one of the first US politicians to speak publicly about the Israeli violence against Friday’s march. Sanders’ statements came after videos of Israeli occupation forces shooting at peaceful protesters went viral on social media, including a video of a Palestinian teenager being shot by an Israeli sniper in the head. At least 16 Palestinians were killed and over 1,400 injured after being directly shot by the Israeli occupation forces while marching for their right of return along Gaza’s eastern border fence with the 1948 occupied Palestinian territories.